“Consumer arithmetic” reviews concepts of rate and percentage change in the context of earning and managing money, and provides a context for the use of spreadsheets. “Algebra and matrices” continues the Year 7-10 study of algebra and introduces the new topic of matrices. The emphasis of this topic is the symbolic representation and manipulation of information from real-life contexts using algebra and matrices. ”Shape and measurement” extends the knowledge and skills students developed in the Year 7-10 curriculum with the concept of similarity and the associated calculations involving simple and compound geometric shapes. The emphasis in this topic is on applying these skills in a range of practical contexts, including those involving three-dimensional shapes. “Univariate data analysis and the statistical investigation process” develop the students’ ability to organise and summarise univariate data in the context of conducting a statistical investigation. 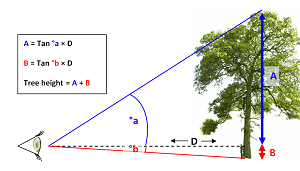 “Applications of trigonometry” extends students’ knowledge of trigonometry to solve practical problems involving non-right-angled triangles in both two and three dimensions, including problems involving the use of angles of elevation and depression and bearings in navigation. “Linear equations and their graphs” uses linear equations and straight -line graphs, as well as linear-piece-wise and step graphs, to model and analyse practical problems. The Mathematics Applications (Units 1 & 2) - ATAR course is designed for students who want to extend their mathematical skills beyond Year 10 level but whose future studies or employment pathways do not require knowledge of calculus. The course is designed for students who have wide range of educational and employment aspirations, including continuing their studies at university of TAFE.